A moment when your heart tells you to take a risk even though it terrifies you. For me, that was podcasting. But launching the Selling The Couch podcast has been one of the best professional and personal decisions that I’ve made. It’s changed my career path and my family’s life in ways I could have never imagined. As the Selling The Couch blog continues to grow, many of our colleagues in the health and wellness space have reached out asking for support in launching their own podcast. So I thought I’d create this complete podcasting tutorial to say thank you for the trust you’ve placed in me and to help you get started. I’ve made a lot of mistakes along the way. But I’ve tried my best to learn from my errors, now taking over 24 months worth of careful notes in my trusty sketch pad (if you’re a fan of the STC blog, I imagine that this doesn’t surprise you one bit! =P). I was also fortunate enough to learn podcasting from several people who I consider mentors including John Lee Dumas, Kate Ericsson, Pat Flynn, Christy Hausler, and Joel Boggess. For them, I’m grateful. The podcast has surpassed 275,000 downloads spanning over 100 countries and has over 150 5/5 Star Reviews (As of May 2017). 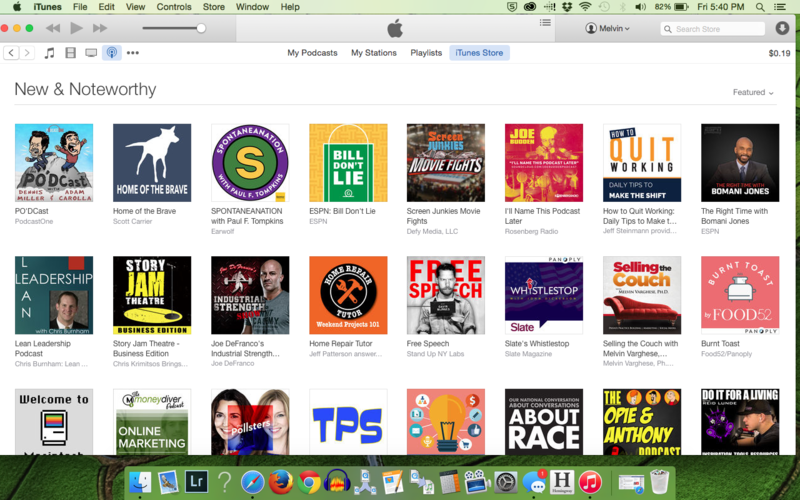 The podcast was rated one of the Top 15 New and Noteworthy podcasts and is now regularly one of the Top 100 Business and Top 30 Career podcasts in all of iTunes, which statistically puts it into the Top 1% of all podcasts! My website traffic has increased from 0 to an average of 7,200 unique monthly visitors (As of May 2017). My email list has grown from 0 to 4,247 (As of May 2017). I’ve built friendships with colleagues (thank you Cory, Keri, and Camille for those first interviews), best selling authors, and sought after experts from all around the world by interviewing them on my podcast. I’ve been featured in Psychology Today, one of the top 2,500 websites in the world (thank you, Michael for seeing something in me before I saw it in myself) and will be an expert presenter for Good Therapy, a website that receives over 1 million monthly viewers. I’ve become more confident as a person (this is something I’ve always struggled with) and a better public speaker. And the best part is that, for the first time in my career, I have a healthy work-life balance. Evenings and weekends are generally reserved for quality time with family, pick up basketball, and rest. I once had a friend tell me that podcasting is one of the best ways to build relationships with others. I didn’t know what he meant at first. I mean…all I was doing was talking into a mic. But as I look back, his statement is absolutely true. In less than 26 months, my own Facebook community for aspiring and current mental health private practitioners has blossomed from 53 to over 5,000 colleagues from all around the world. I get to talk to them on a daily basis, figure out how I can serve them, and get to know them as people. And, as often as possible, I like to personally welcome new members into my community (I feel like it’s the right thing to do because they took the time to join) and ask them how they found out about me. The vast majority of them tell me that they found out about me thru the podcast. Colleagues that I’ve never met in person know, like, and trust me because they heard my voice on a podcast. But that’s the power of podcasting. I’d like to invite you to sign up for my podcasting tutorial email course. 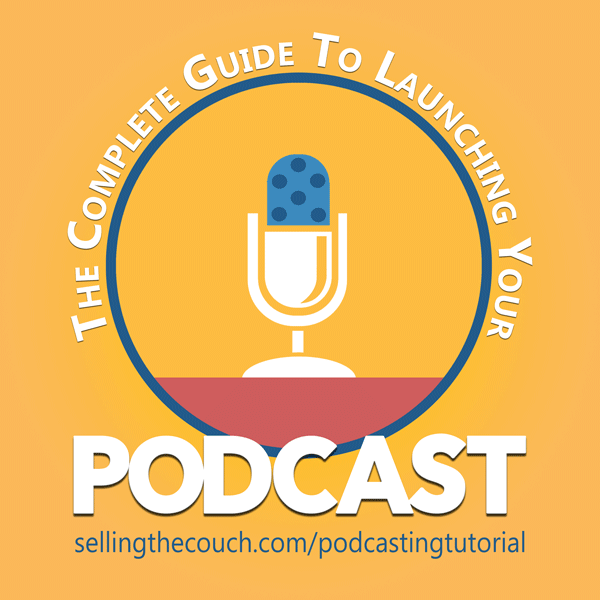 In the course, I give you an overview of the podcast landscape and provide you with information via video training to help you get started. I spent over 45 hours researching and recording it knowing that it will accelerate your podcasting journey. The specific podcasting gear and software I recommend. If you need additional support or have questions during or after taking the course, I also conduct free, live, online podcasting workshops regularly where I’m more than happy to answer any questions you have. How To Record Your First Podcast Episode On A Shoestring Budget. Many new podcasters feel the pressure to buy expensive gear. We’ll learn how to use budget friendly gear to record a high-quality podcast. How To Edit Your Podcast Without Getting Overwhelmed. You don’t need to be an editing expert. We’ll learn how to use FREE tools to quickly edit your podcast. How To Get Your Podcast and Business Infront Of 67 plus million monthly podcast listeners. This is the #1 mistake that new podcasters make. We’ll learn how to figure out what people are searching and put that information into your podcast file so listeners can find you and your business. Tips To Generate Additional Income Through Podcasting. Used thoughtfully, podcasting get us out of the “trading time to create income” trap. We’ll learn some “out of the box” ways to create multiple income streams for your business via your podcast. Free replay for all colleauges who sign up and Live Q/A and giveaway for 3 Audiotechnica ATR-2100 USB’s (the mic I use for my podcast) for live attendees! I also have a pre-recorded version that you can watch at your convenience if you aren’t interested in attending live to ask questions.